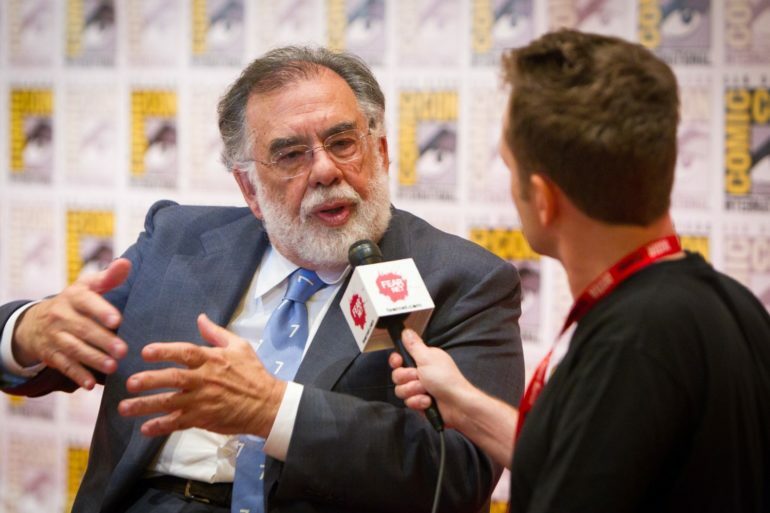 As the director of The Godfather, The Godfather Part II, The Conversation, Apocalypse Now and The Outsiders, Francis Ford Coppola was one of the most important and accomplished filmmakers of the 20th century. The director, however, has not done much work in the 21st. Coppola has directed four films in the new millennium- Youth Without Youth, Tetro, Twixt, and Distant Vision. None were especially well-received, made much of an impact, or even got much of a release. Many film observers likely think of Coppola as someone who is retired, aside from his latest attempt to tinker with Apocalypse Now, another cut of which is set to debut at the Tribeca Film Festival in a few weeks. But Coppola, who is 80 years old, isn’t done after all. According to Deadline, the director is planning to finally make his dream project, called Megalopolis. The film has been a rumored Coppola project for years, going back to the 1990s, and the director even shot second-unit footage for it around the year 2000, before the 9/11 attacks caused it to fall apart. According to the story, the film is “a sprawling film as ambitious as Apocalypse Now” and entails “an architect’s attempt to create a utopia in the city, combated by the mayor.” Coppola told Deadline that a script is complete and he’s looking at actors, with Jude Law’s name mentioned. It would certainly make a welcome capstone to Coppola’s career, were he to make one more film, especially a super-ambitious one that referred back to his earlier work. However, there are reasons to be skeptical. Coppola’s last movie of consequence was quite some time ago. There’s no mention of funding, which tends to be an important thing with ambitious film projects. And Coppola, no matter how successful his wineries are, likely isn’t in a position to finance such a project himself. As for making a film as ambitious as Apocalypse Now, Coppola took three years to complete that film – suffering immensely in the process – and that was when he was in his 40s. I will, nonetheless, be rooting for Coppola to succeed in making one last great film, and watching this project closely.